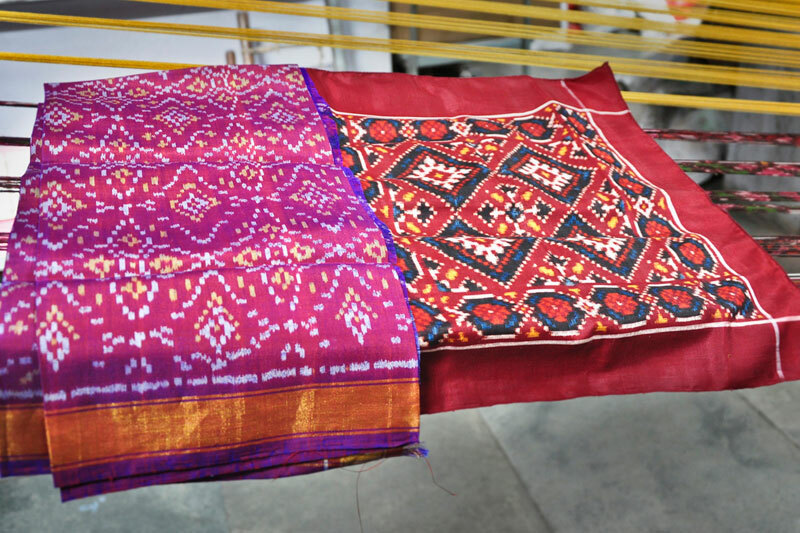 Patola or the double ikat saree is usually renowned for its geometrical and colorful range with flower motifs, jewels, flora and fauna, parrots, elephants, dancing figures with plain, dark and colored border on pallu and body of the saree. 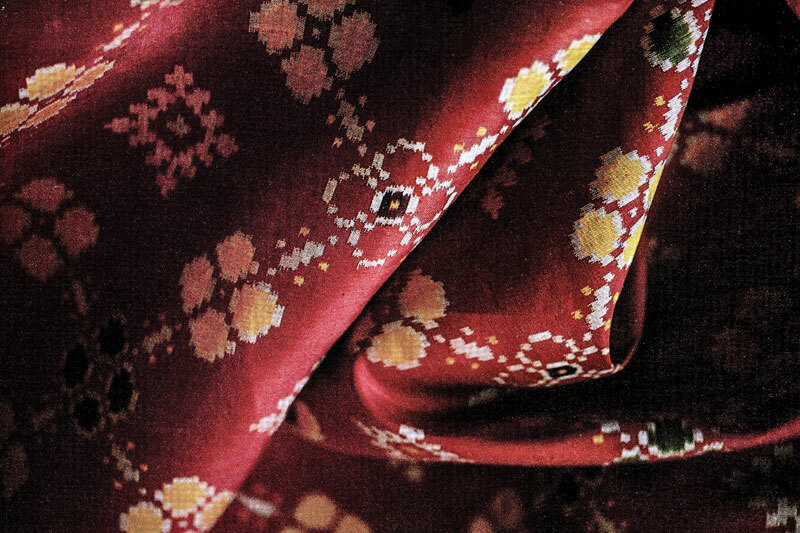 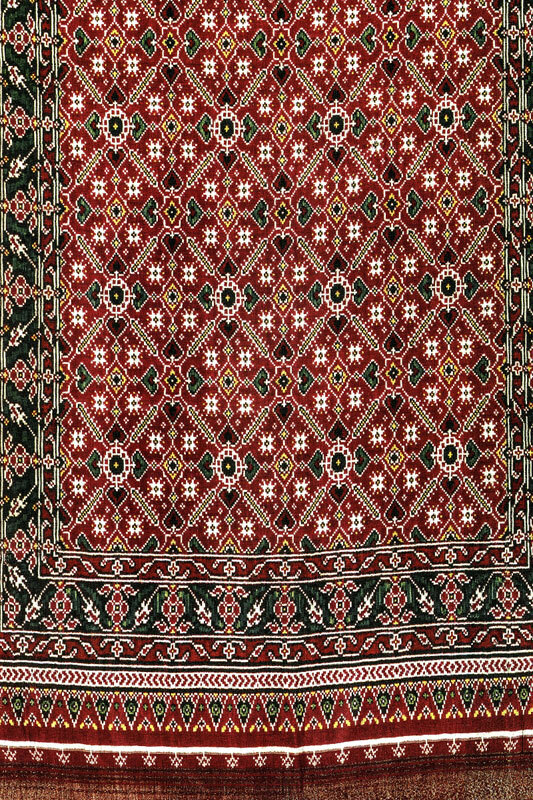 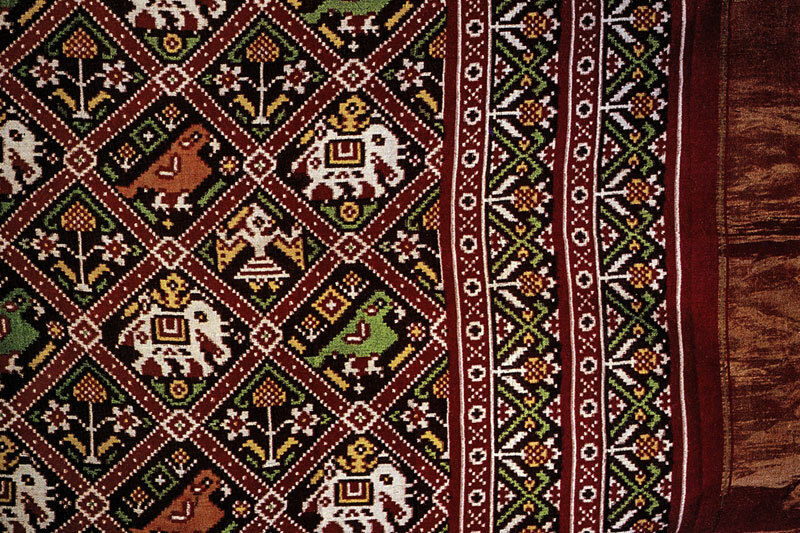 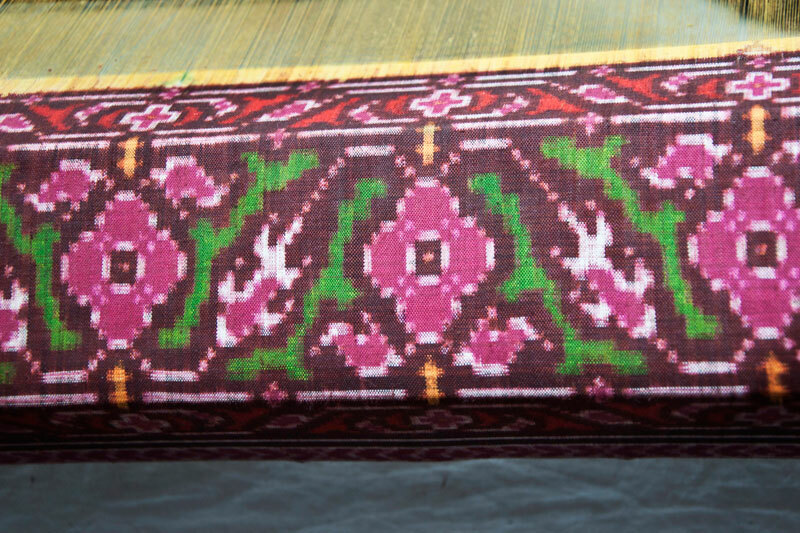 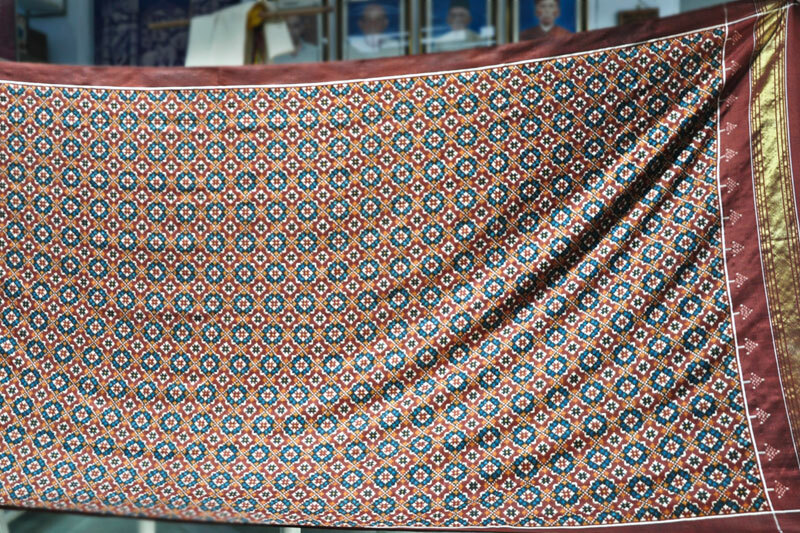 An unstitched garment of about 5.5 to 6 meters length, which is usually draped by Indian women. 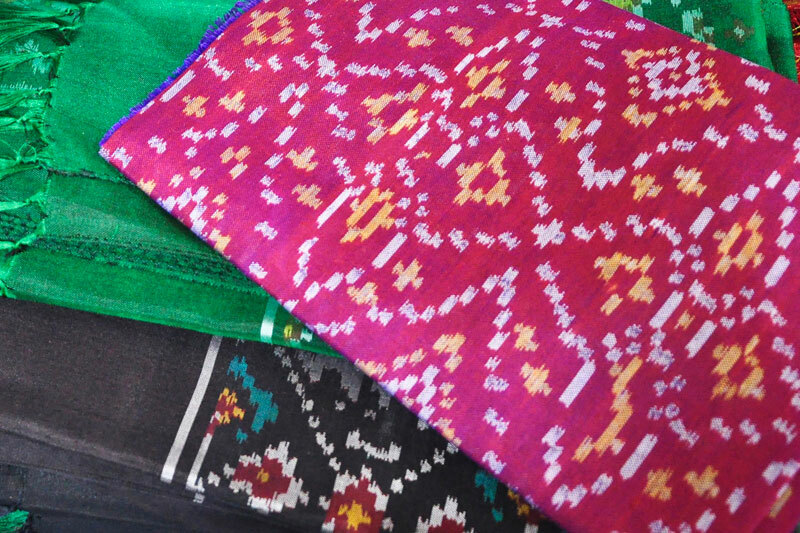 A piece of fabric which is worn around the neck and near the head for warmth and covering. 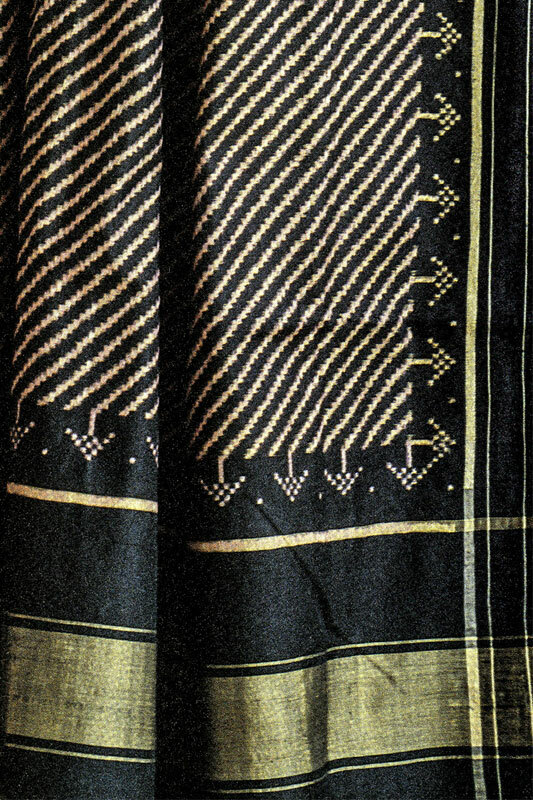 Long scarf used with the Salwar kameez.